The Slice of Orange blog: Welcome! The Slice of Orange blog will be inactive for an indefinite period of time. Don't worry, the shop is still up and running as usual! Welcome to the Slice of Orange blog! You found me! This is where I post updates about my Etsy shop, and any other ramblings. 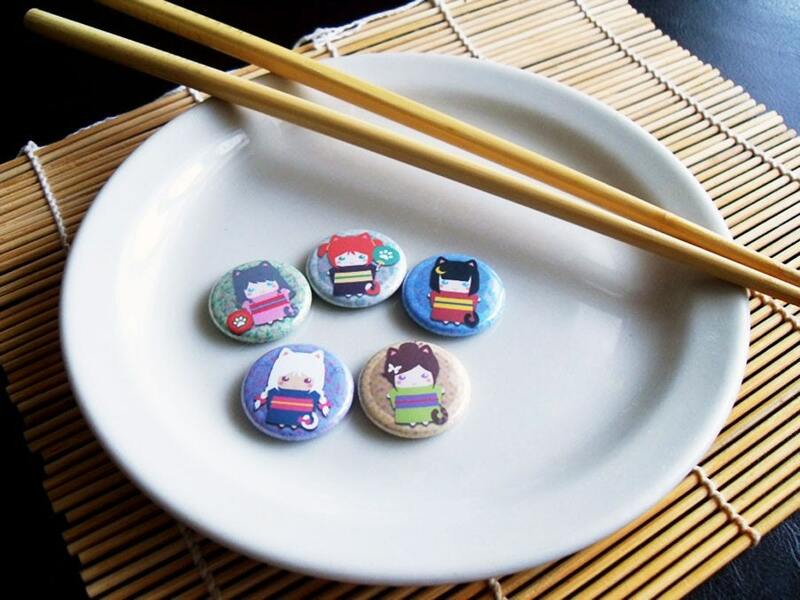 I mainly sell buttons and magnets, so save some space on your bags and fridges! All items are designed by me unless otherwise mentioned. Keep checking back for info about new listings! A blog featuring updates and ramblings about my shop - sliceoforange.etsy.com. I'm just your everyday student who loves making buttons. My inspiration comes from animals, manga/anime, music, video games, and everything beautiful. Can you make me a custom button design? I have a promo code! What do I do with it?